The first ever auction featuring the works of Banksy only will take place this month. 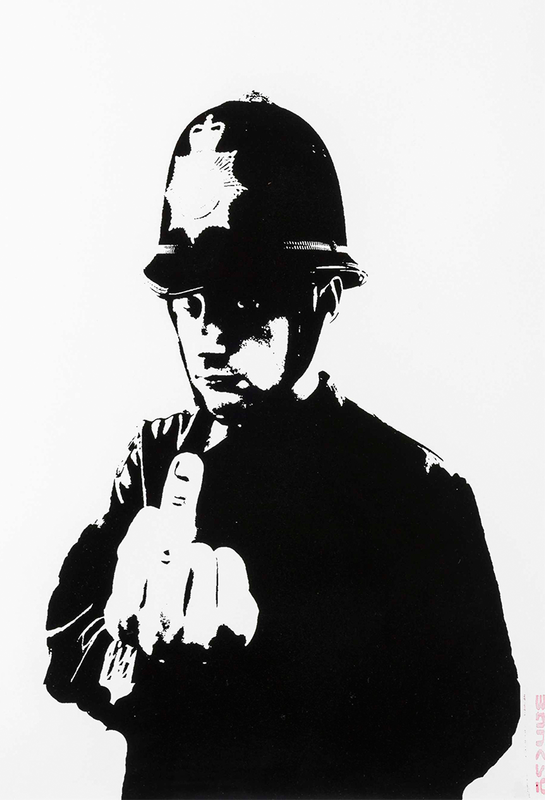 40 lots by the elusive street artist will be going under the hammer in ''Banksy: Wanted'' which will be held by Forum Auctions at The Westbury Hotel on 12th October. 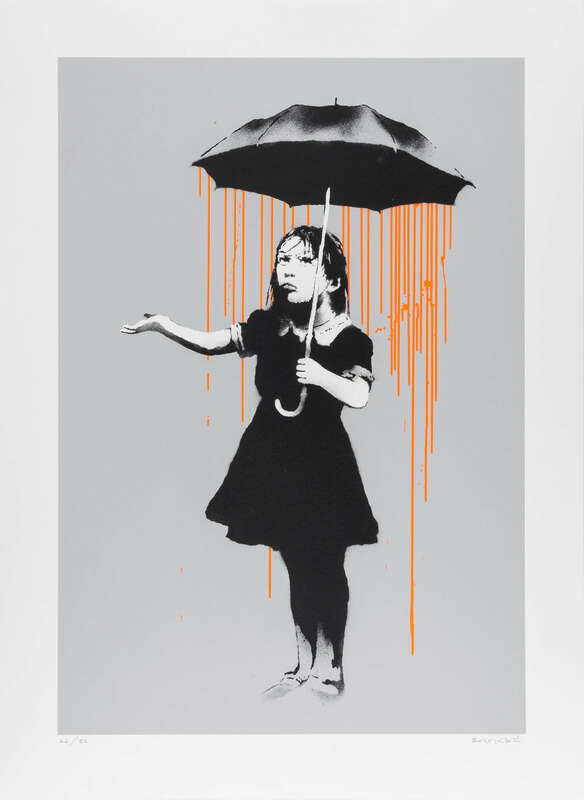 Works to watch out for include Girl with Balloon, estimated at £50 000-70 000, the 2004 print from an edition of 150, is priced to sell at a world record for a signed examples from this edition. The owner will make a handsome return, having bought the work in 2004 from one of Banksy's first exhibitions, ''Santa’s Ghetto,'' paying only £150. 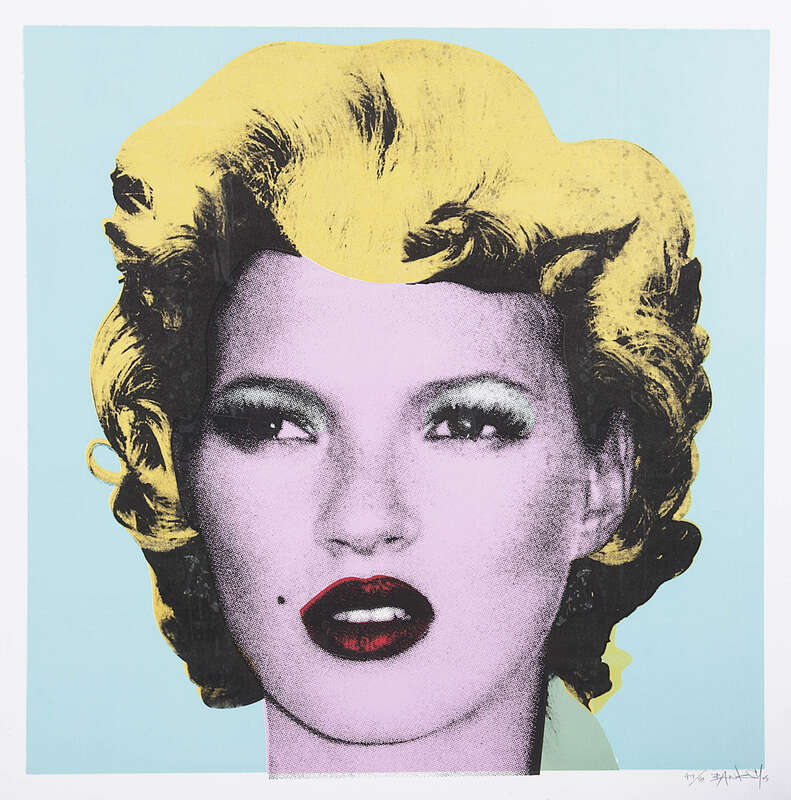 Kate Moss, estimated at £35 000-50 000, the artist's 2005 representation of Warhol's iconic Marylin Monroe, is from a small edition of 50 and amongst the most valuable of the lots on offer. Another example sold in 2008 for nearly £100 000. Printed in 2008, NOLA was Banksy's response to the humanitarian crisis in New Orleans following the ravages of hurricane Katrina. This print is from the extremely rare edition of only 32 that feature orange rain as opposed to white rain. The work has been estimated to sell for £35 000-45 000. 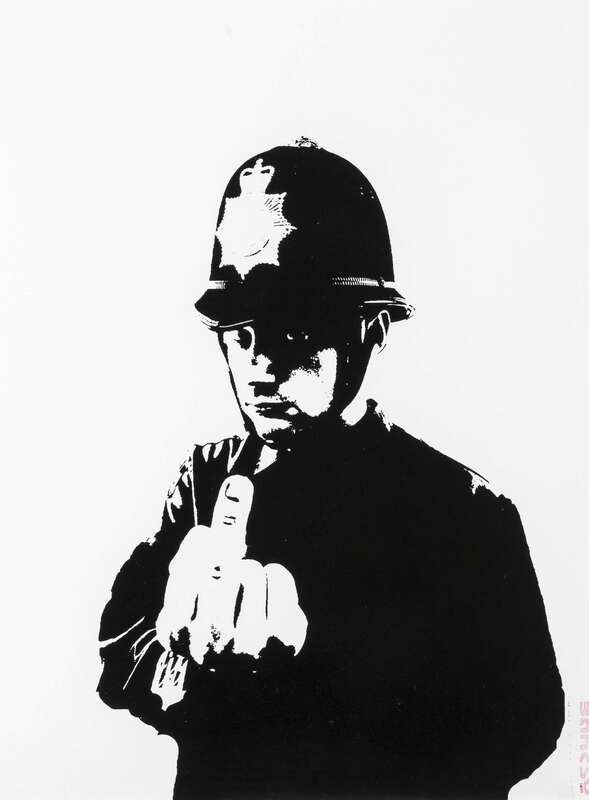 For novice collectors of street art, Rude Copper, 2002, has an estimate of £6 000-8 000. This example is from an edition of 250. The auction concludes with Banksy's last official print, Choose Your Weapon, which has been estimated to fetch between £25 000-35 000. 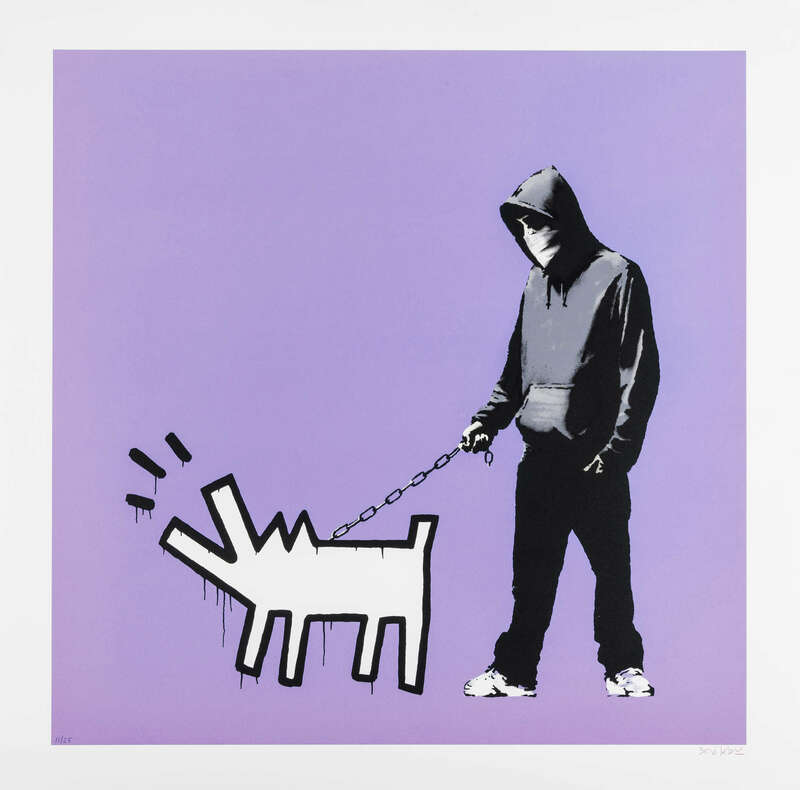 Featuring a familiar and classic Banksy hooded figure holding a Keith Haring style dog on a lead, the print was published in over 10 colourways with the offered example being one from the very small 'bright purple' edition of only 25. This sale represents the first auction offering from the Modern & Contemporary Art department at Forum Auctions, London’s newest specialist auction house established in May 2016. Alongside the fully illustrated auction catalogue, Forum’s website offers buyers the facility to view lot images in ultra-high definition as well as bidding online directly during the auction using the firm's live simulcast bidding platform, BidFORUM. In another innovative development, Forum Auctions has teamed up with peer-to-peer lender Unbolted.com to offer buyers the ability to receive 3 month interest free credit on purchases made at the auction. ''Banksy: Wanted'' will take place on 12th October, 2016. Check out the full catalogue here.